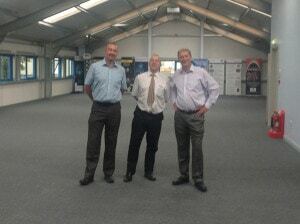 We were very pleased to welcome both Jim Brogan and Graham Verity from GP Batteries to our new building. Cell Pack are proud to be classed as an Authorised Distributor of their products here in the UK. We work very closely with the GP Team in the UK to offer both sales support and Battery Pack Assembly opportunities particularly within the industrial market sectors.